In a world where resistant weeds run rampant, one chemical company is bringing relief to corn, soybean and rice farmers. FMC will introduce a novel rice herbicide and a corn and soybean herbicide in the next five to ten years. “When we say new mode of action, it means there’s not a product on the market today for that crop or that use,” says Kathy Shelton, FMC vice president and chief technology officer. “We have one molecule in our pipeline today that doesn’t have a name yet that focuses on rice, against grasses mainly, and we’re looking in that chemical group for new molecules that would be effective in corn and soybeans. These discoveries are significant because they mark not only a new active ingredient, but new MOA as well. 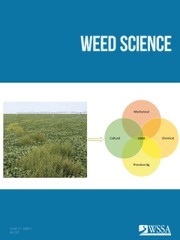 This give farmers a leg-up on target weeds as the pests have never been exposed to this nature of chemical. The rice molecule is further along in the pipeline and could launch in the next five years. Each molecule costs from $150 to $170 million to produce, depending on regulatory timelines and other unexpected expenses. Chemical companies estimate a two-year regulatory review and about six years for internal testing and discovery. What you need to know about the corn and soybean molecule. If you’re like many farmers, itching for a new herbicide in corn and soybeans, here’s what you can expect from FMC’s new MOA. It’s for pre-emergent use. “It’s safe for soybean rotation—plant back isn’t an issue,” Shelton says. Right now, the primary use is in corn but FMC is working to make it available in soybeans, too. 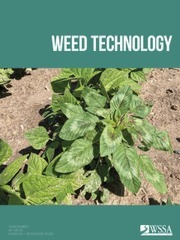 FMC is not a seed company and doesn’t have accompanying seed products to offer in-season herbicide use. The company is placing an emphasis on protecting their investment through stewardship, too. “We will probably sell this as a mixture with multiple MOA and combine that with integrated pest management best practices,” Shelton says. The discovery advanced to development in 2017 and could hit the market in just eight years. FMC is testing the molecule in corn, soybeans, sugarcane and cotton. Rice farmers will soon have a new herbicide to fight resistant grasses. Patented in 2014, FMC tested more than 3,000 versions of the molecule before finding the crop-safe version for rice growers. Herbicide stewardship is critical moving forward. Farmers need to preserve and protect current herbicides on the market until new options are commercialized, and then protect new herbicides when they’re available. FMC will spin off its lithium business, Livent, in March to become a pure-play agriculture chemical company. In 2010, the company was composed of nine unique businesses, and today it’s placing its bets in the ag industry. After acquisitions and investment, today the company spends between $300 million and $400 million in research and development. All of that money goes into chemical and biological research—no seed. “Our challenge is to bring the best chemistry to the marketplace, we are not in seeds,” says Mark Douglas, FMC president and COO. 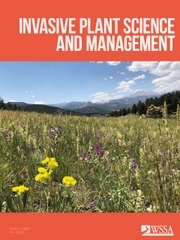 Despite being smaller than the other “big four,” FMC says it likely spends as much or more on agricultural chemical research than anyone else because of their singular focus.